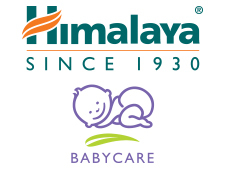 Hello mommies, I’ve been a big fan of Himalaya since Batool was born, and I love that the products are all herbal and child friendly. I was ecstatic when the company representative contacted me to share with you all some tips and tricks from their experts. During winter, skin tends to lose moisture quickly, which makes it extremely dry. This is especially true when it comes to baby’s skin as it is already prone to dryness. Therefore, as winter sets in, it becomes more important to ensure that your baby’s skin remains healthy and supple. Heat rash: Contrary to what you may think, heat rashes occur during winter too! Bundling up your baby too warmly can make him sweat and irritate the skin, which can result in a bout of heat rash. So, dress your baby in breathable layers to allow proper ventilation. As cotton clothes are sweat absorbent, it is preferable to dress your baby in these first, followed by other ‘warm’ fabrics like wool. Dry skin: Dry skin can occur anywhere on your baby’s body, so you need to be prepared. Ensure that the bathwater is not too warm, and only mild baby products are used. Hot water dries and shrivels up the skin, while stronger skin products remove the body’s natural oils. Remember to add a few drops of oil in the bathwater. After bathing, pat your baby dry with a soft towel and moisturize thoroughly. Choose a mild, herbal moisturizer, and allow it to be fully absorbed by the skin. Keep moisturizing every four to six hours during the winter to keep your baby’s skin supple. and softens the skin, and also prevents chafing. Make sure to massage your baby in warm, comfortable place, preferably early in the afternoon. Also, remember massage should never be given just before or after a feed. • Olive Oil, enriched with Vitamin E, nourishes, protects and softens skin and prevents chafing. It has soothing and antimicrobial properties, which keeps baby’s skin healthy and soft. • Almond Oil is an excellent skin softener, which gently moisturizes baby’s skin. • Country Mallow, an antioxidant, has nourishing properties and protects baby’s skin from germs. • Licorice protects and soothes baby’s skin. Applied topically, licorice helps in relieving symptoms of itching, swelling and redness. • Fenugreek is a perfect natural moisturizer, specially formulated to hydrate baby’s dry skin. • Green Gram makes baby’s skin soft and supple. • Aloe Vera is used extensively in Ayurveda for wounds, burns, dermatitis and other skin ailments. It soothes and moisturizes baby’s skin and also acts as an antibacterial agent. i really liked the ‘add a few drops of baby oil to the bath’ tip, i never did think of that, but its a great tip. Will definitely try that. some great tips to work with especially the ‘ a few drops of oil in a babys bath’ to deal with dry skin!